The St. Andrews Ballroom at the Golf Club at Newcastle, where the reception for this wedding took place, was completely transformed by the addition of countless colored uplights that bathed the expansive white ceilings in vibrant purple. When the couple got to get a sneak peek of the decor while we shot portraits before their wedding ceremony on Prestwick Terrace, we took the opportunity to create a few portraits there as well. 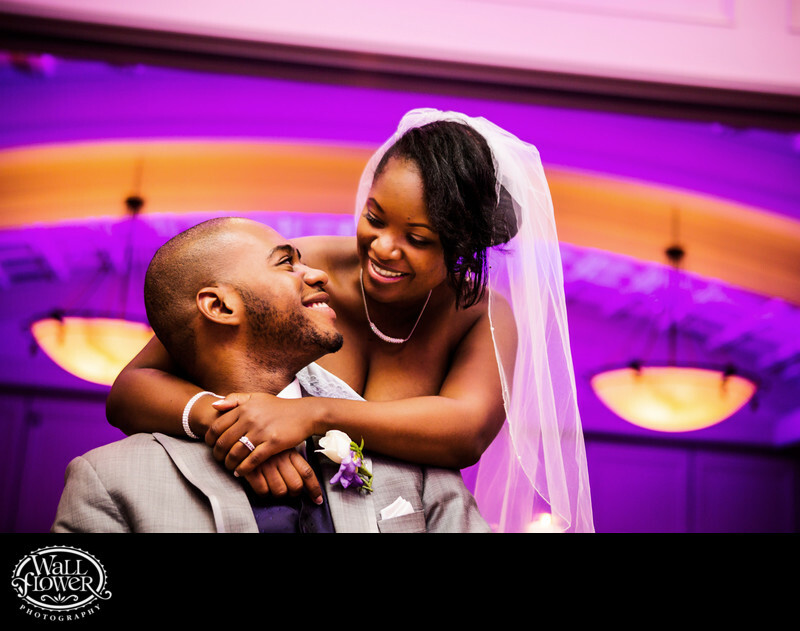 This is one of our favorite poses for couples, and it worked great for this bride and groom.